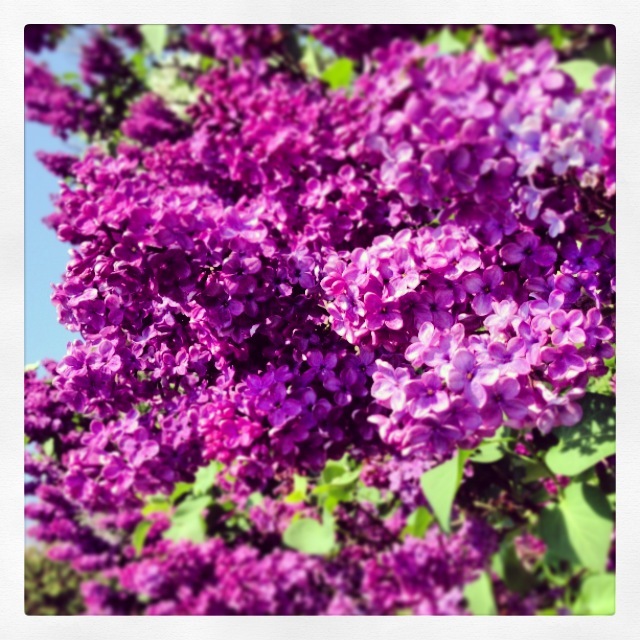 Each May, Rochester holds a Lilac Festival that runs over two weekends. Some years, the weather is perfect, but the lilac trees have passed their peak. So, you know, everyone traipses around looking at slightly brown buds. Other years, it’s freezing cold. Still other years, it freakin’ rains the whole dang time. Sometimes, it’s mad hot and everyone is sweaty and complaining. What I’m getting at is that it’s a tough month to hold a festival. This year, we caught more than our fair share of solidly beautiful days, so I made the mistake of signing up to run a 5K with my son. One of us took 41:00 minutes to come in 900th place, and then puked my way down there to get a few photos. 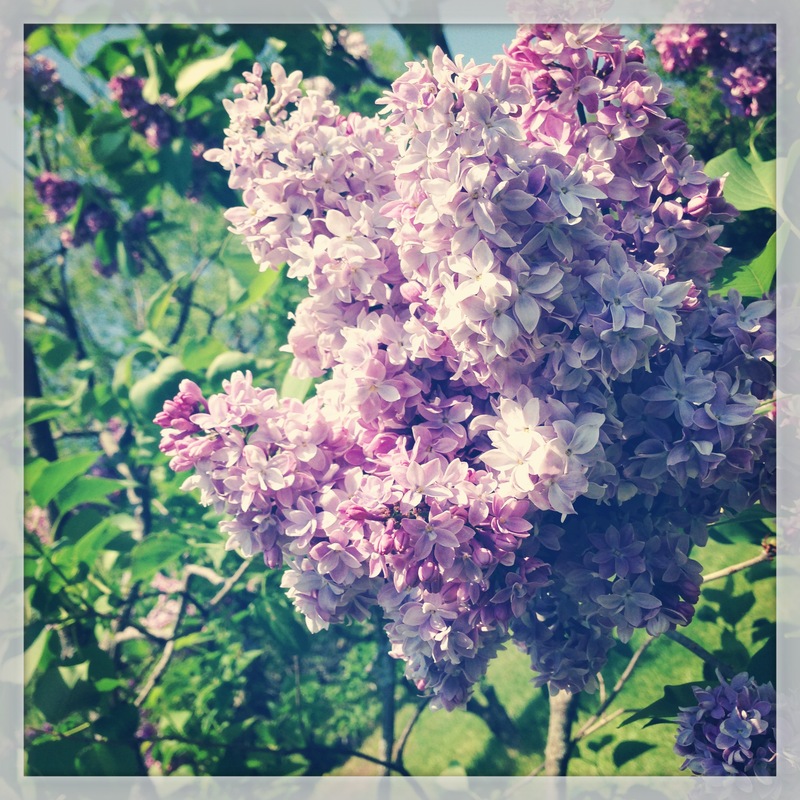 I love the Lilac Fest. The purple flowers on the trees speak to me. No, I don’t hear voices. But I hear a reassuring voice that reminds me summer is on the way. 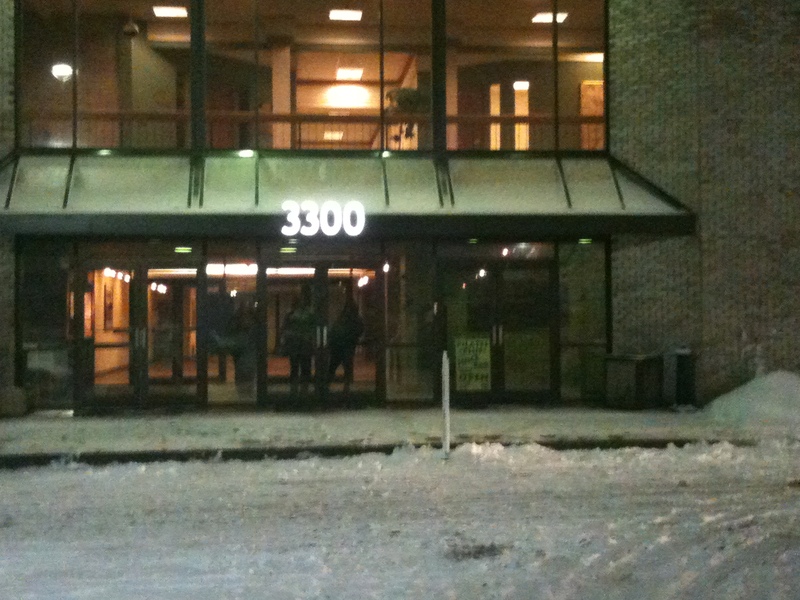 GIRL, PUT AWAY YOUR SLEEPING BAG COAT! IT’S SAFE NOW. PROBABLY. I MEAN IT MAY NOT BE, BUT THE LIKELIHOOD OF THE TEMPERATURE DROPPING BELOW FREEZING IS DECREASING DAILY. SO TAKE A LEAP OF FAITH AND MOVE THAT PUFFY BLACK COAT FROM THE HOOK IN THE HALL TO THE CLOSET. HIDE IT. DO IT! Because when you see things like this? Well, how can you not have faith? And speaking of faith, I know some of you are here because you have faith. And now you just want to know. Who won the dang Lilly Pulitzer bag? I know. Not the smoothest segue way. I have to show you something first. 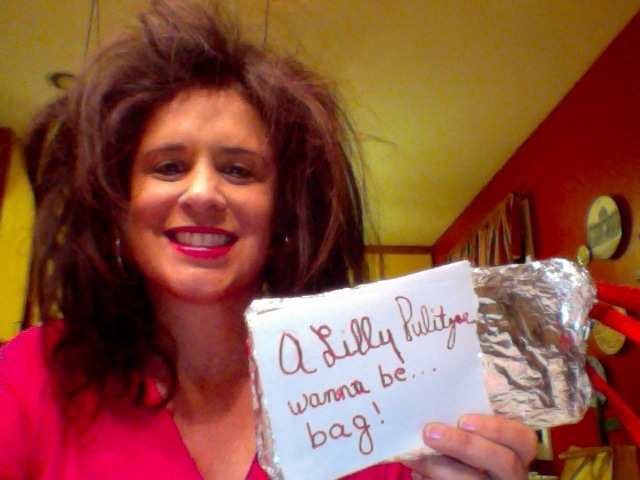 A couple of people sent me photographs to boost their odds of winning the Lilly bag. Each photo earned folks five points in addition to any points they might have accrued for leaving me comments, tweet and Facebook shares. And now I have to share them with you! Aimee Broussard is kind of like the Martha Stewart of the South. Except she’s younger. And perkier. And wicked nice. I met Aimee at BlissDom, and I developed an instant crush on her. She crafts. She bakes. She makes and sells fabulous aprons. If you want to see a gorgeous blog, look HERE. Y’all, Aimee cyber-pummeled me with pictures of all her Lilly-wear. 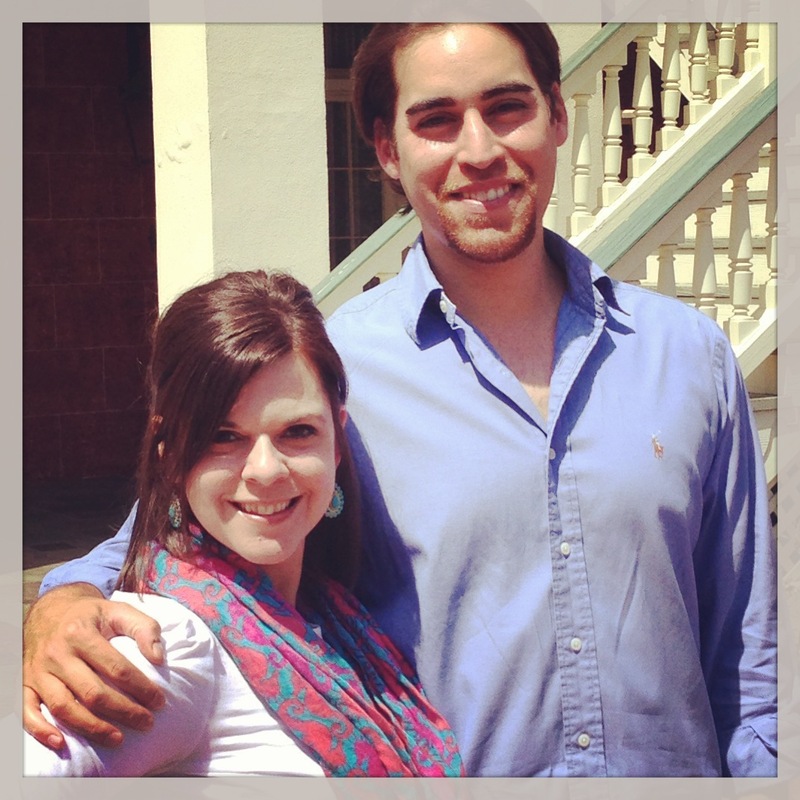 She sent me this photo of herself and some hot plantation owner in Louisiana. 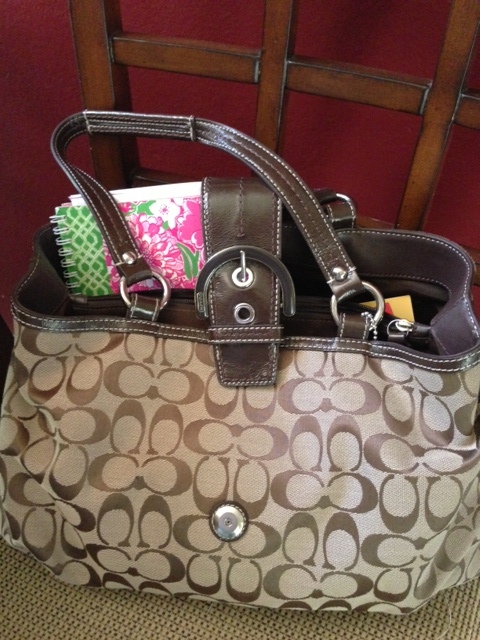 As if THAT wasn’t enough, she tweeted my post and sent this picture of her current handbag. With her comments, her tweets, her Facebook shares and her photo submissions, Aimee earned twenty-eleventy-two and 1/2 bazillion points. If the contest had not been left up to Random Generator, I think it is fair to say, she would have been the clear winner. And yet, Random Number Generator was running this show. Because I knew I could never have been impartial on this one. Also, I was scared. I didn’t know how out of control this thing was going to get. Sheri Burns is not a blogger, but she often leaves kind words on my Facebook Page. 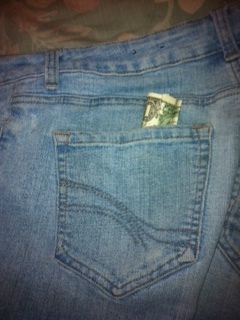 She told me to be on the lookout because she was sending me a picture of her current handbag. She warned me not to laugh. I assured her I wouldn’t. Misty of Misty’s Laws just wrote a faboosh guest post for me as part of my #SoWrong series. (Check out “To Bra or Not to Bra” if you missed it.) 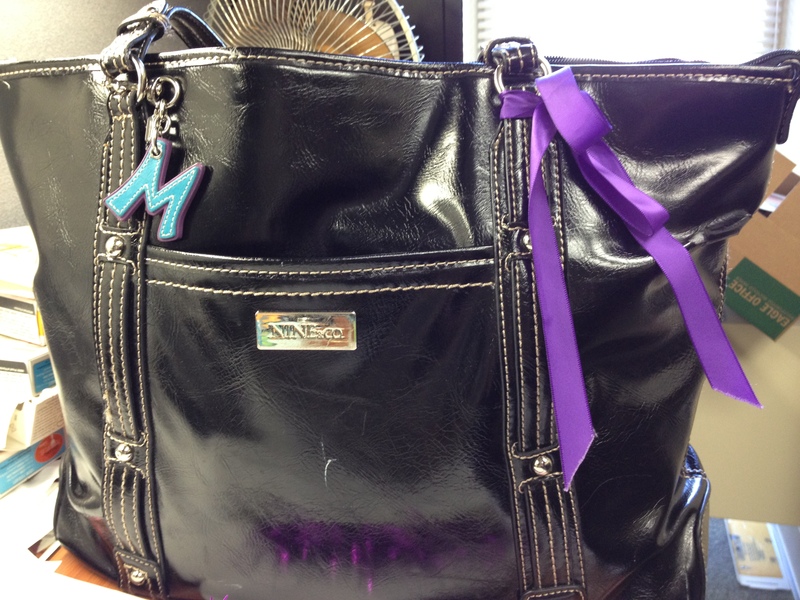 Anyhoo, Misty submitted two photos of her purse. The second photo features a close-up of the “shreddedness” of her handbag, but I’m only posting the first one. You’ll have to believe me when I tell you there are puncture wounds in her purse. I love everything pink (as you can see by my sweater and lipstick), and her stuff always has pink in it! I, too, have frizzy hair and iron it flat every day. I emailed an image of my sad aluminum foil bag. I counted up all the entries as we went along, putting names on the appropriate number of lines in one Excel document. Then I let Random Number Generator do the work. Sheri Burns was attached to #73. And how can we begrudge her, right? I mean she deserves a little Lilly, yes? So I’ve got your email already Sheri. I’ll email you to get your home address! Congratulations! And thank you to everyone who entered! I loved reading your words!